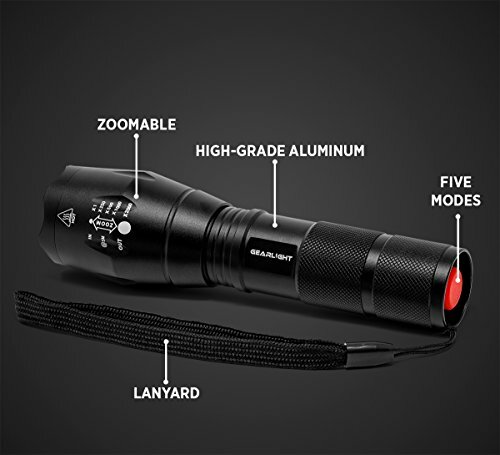 ULTRA BRIGHT & LONG-LASTING - Easily light up an entire room or focus in on objects up to 1000 feet away! 10 times brighter than old incandescent lights. Conveniently powered for hours with 3 AAA batteries or one 18650 rechargeable battery. 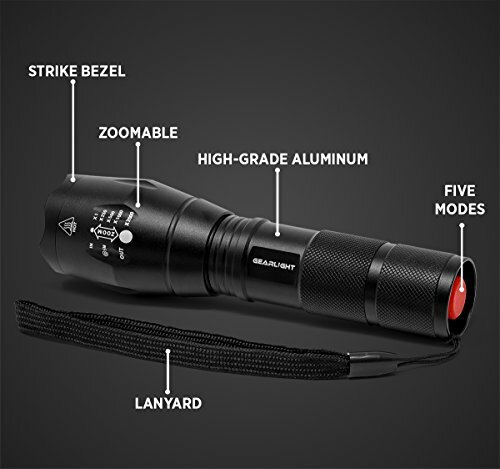 (Batteries not included) COMPACT, ADJUSTABLE FOCUS, & FIVE MODES - 5 Useful Settings (High|Medium|Low|Strobe|SOS) and wide-to-narrow beam zoom makes it ideal for use around the house, dog walking, or camping. It is compact enough to fit in your pocket, backpack, or purse allowing for easy storage and quick access. 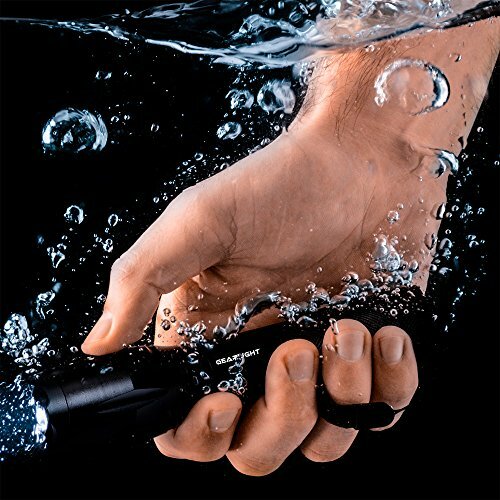 WATER RESISTANT & VIRTUALLY INDESTRUCTIBLE - Built for rough handling, this flashlight can survive a 10-foot drop or being temporary submerged under water. You can even freeze or run it over with a truck and it will still work! Suitable for use in rain, snow, or emergency situations. 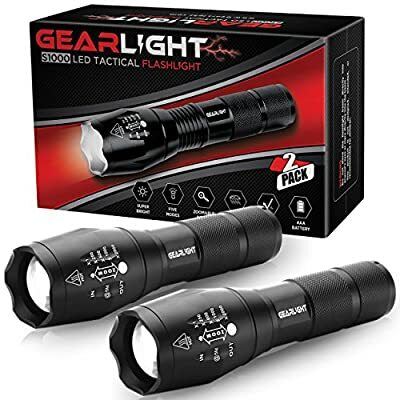 AS SEEN ON TV + BONUS - Same "military" tactical flashlight as seen on TV, shopping networks, and commercials but at a fraction of the price! 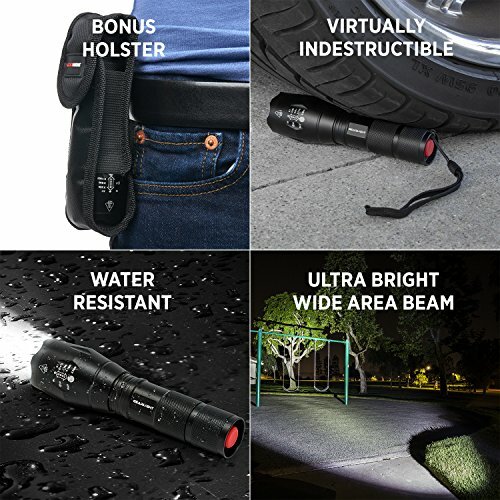 Includes a bonus pouch/holster to safely store your flashlight. 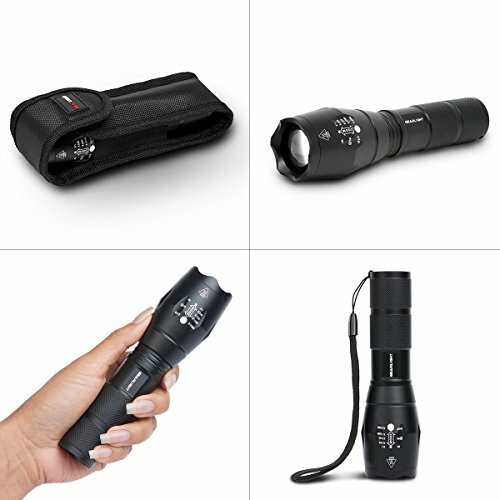 EXCEPTIONAL VALUE, 2 FLASHLIGHTS & 2 BONUS CASES - Keep one in your car, one in your home, or gift one to a friend or family member. 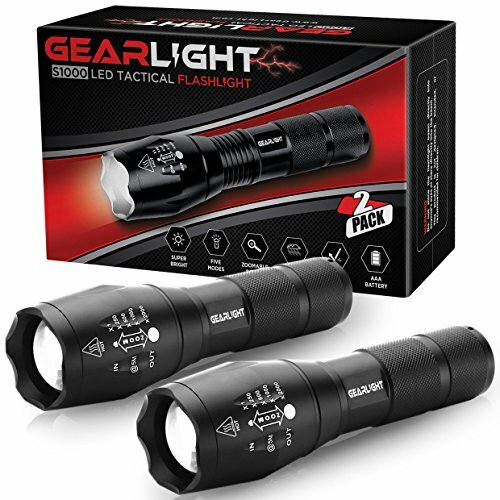 Every purchase comes with an extended one-year return policy and friendly customer service provided by GearLight, a U.S.-based company. NOTE: MIDirect is the only authorized reseller of genuine GearLight products on Amazon.